For some reason its always Australia that gets the cool pre-order gifts. Well at least until they’re confirmed for the UK, but at the moment this limited edition pre-order vinyl is only being offered at JB Hi-fi stores, in the merry land of Oz. At the moment there is no word on select tracks but I can bet it’ll be select songs from all the games in the actual collection. 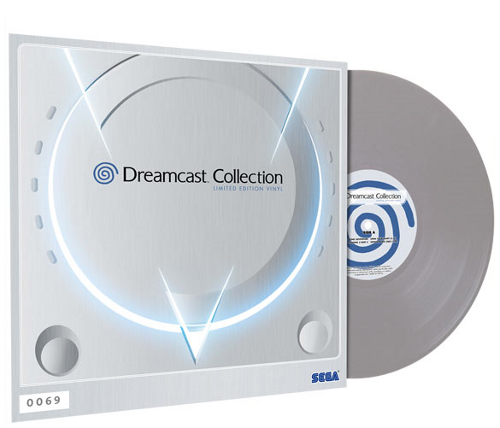 It’d be better if it was a real ‘best of’ Dreamcast compilation disc though. That would be amazing. So yeah, no word on any other release but good news if you’re Australian and like the Dreamcast. But what about you other peoples of the world? Are you jealous or not at all? Let me know in the comments, fool! Tom Kyzivat shamelessly plugs his comic on Sega Addicts site! Definitely jealous. Do we have any Aussies in the house? If so we may need to work something out. If this is still $30 and somehow attainable for the US, I will gladly cancel my GameStop reserve. RIGHT NOW. Especially after missing out on the Sonic’s Genesis Collection vinyl. So, for some ridiculous reason this costs $50 over there. After shipping to the US it comes close to $60. I’m not sure it’s worth twice the price, especially since we don’t know what’s on the record yet.